EUGENE, OR, Sporting Alert — English Gardner leads a solid women’s 100 metres field assembled to battle at the 43rd Prefontaine Classic – an IAAF Diamond League meeting to be held May 26-27, 2017 at historic Hayward Field. 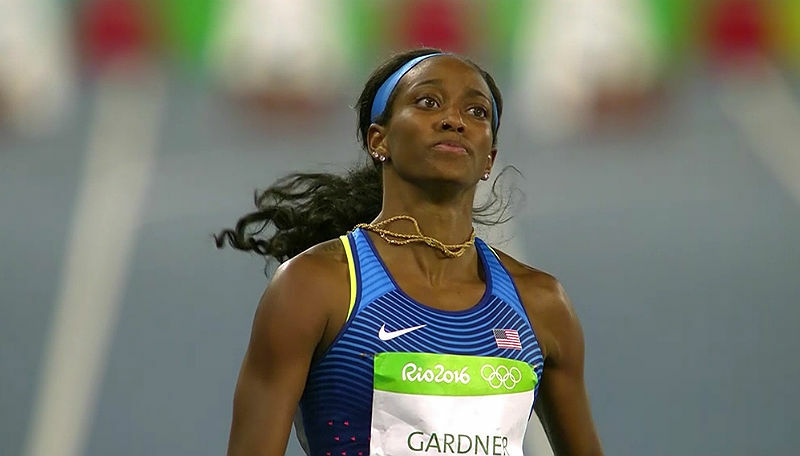 Gardner, a member of the U.S. gold medal women’s 4x100m relay team at the 2016 Rio Olympic Games, is returning to defend the title she won last year. At the 2016 meeting in Eugene, Oregon, Gardner posted a time of 10.81 seconds to beat a strong field and the 25-year-old aims to deliver a similar performance at this year’s event. Fellow American Tianna Bartoletta, who finished second last term is also back to challenge for the top spot, and the 31-year-old, who will also take part in the women’s long jump, is hoping to go one better this time out. Also listed to compete in the event are five other women who have broken the 11-seconds barrier for the 100m. Jamaica’s Veronica Campbell-Brown, Murielle Ahoure of the Ivory Coast, Michelle-Lee Ahye of Trinidad & Tobago and Simone Facey of Jamaica are the other women with personal bests faster than 11-seconds. Ahoure was third in 2016, while Facey was fourth. Dezerea Bryant of the U.S. who has a personal best of 11.00 seconds, round out the field.